Cam buckles are pull tight e-track straps. These offer easy tightening and are great when over-tightening can damage your cargo. E track straps snap into E Track in trailers. 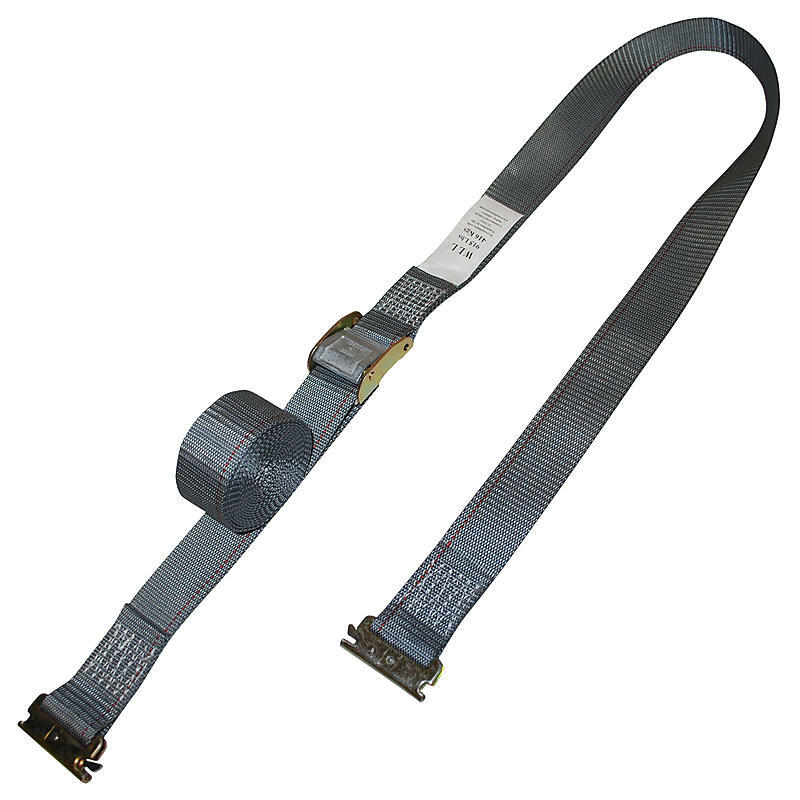 These e track straps straps are manufactured with a durable cambuckle, spring e-fittings on both ends, and 6,000 lb webbing. In the trucking industry, etrack ratchet straps are color-coded with polyester webbing by length: yellow are 12’, gray are 16’, and blue are 20’.